Last week we learned in Olson v. Push, Inc. that Minnesota’s Drug and Alcohol Testing in the Workplace Act (DATWA) does not apply to a West Virginia employee working for a Wisconsin company. While at first blush this may seem like a no-brainer, there were facts in this case that made it a closer call. The plaintiff, Shawn Olson, applied for employment with Push while he was living in Minnesota. Push arranged for Olson to take a pre-employment drug screen, and for convenience sake, the test was arranged at a testing facility in Minnesota. Olson argued that because DATWA applies to employers “doing business in this state,” and that he was subjected to testing in Minnesota, it was sufficient to apply DATWA’s protections to his circumstances. A federal district court disagreed and dismissed Olson’s case. The court held that it was not the intent of the Minnesota legislature to apply DATWA to out of state employment relationships. The court determined that the place of the employment, and not the residency of the employees, is the key consideration. 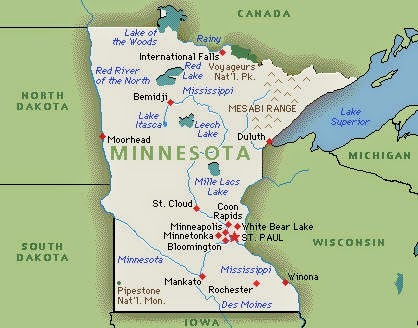 Minnesota laws are frequently unclear regarding their application beyond the Land of Lakes. The Olson decision is helpful in clearing up ambiguity surrounding the reach of DATWA and other state employment laws in cases where the connection to Minnesota is slight. This case will help determine the application of Minnesota employment laws in circumstances such as where an employee resides in Minnesota but works in a bordering state, or where an employee has a territory that includes, but is not limited to, Minnesota. Since courts rarely have an opportunity to analyze issues like these, it is oftentimes difficult to locate a definitive answer to some seemingly obvious questions.